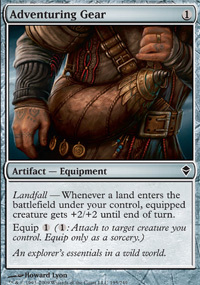 Landfall - Whenever a land enters the battlefield under your control, equipped creature gets +2/+2 until end of turn. 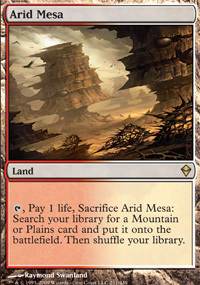 TAP, Pay 1 life, Sacrifice Arid Mesa: Search your library for a Mountain or Plains card and put it onto the battlefield. Then shuffle your library. 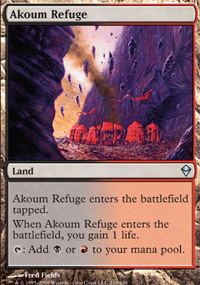 Whenever a creature is put into a graveyard from the battlefield, put a +1/+1 counter on equipped creature. 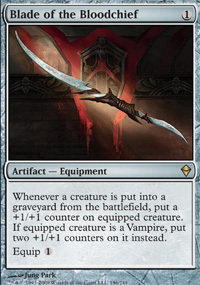 If equipped creature is a Vampire, put two +1/+1 counters on it instead. 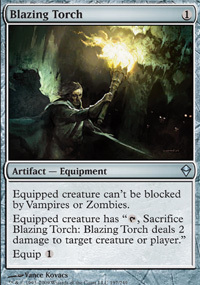 Equipped creature cant be blocked by Vampires or Zombies. TAP: Add B to your mana pool. 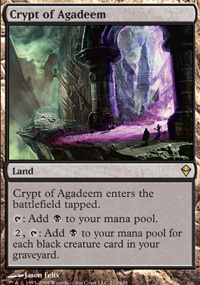 2, TAP: Add B to your mana pool for each black creature card in your graveyard. 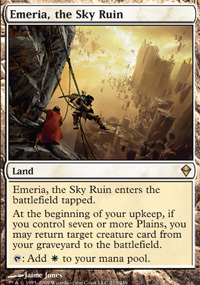 Creatures you control get +1/+1, have flying, and are indestructible. 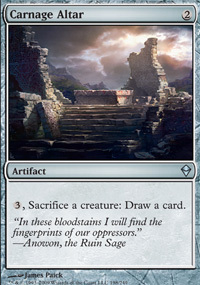 At the beginning of your upkeep, sacrifice a creature. 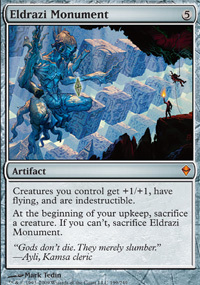 If you cant, sacrifice Eldrazi Monument. 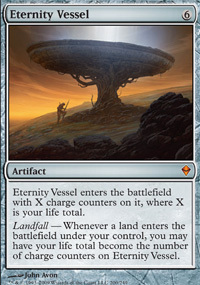 Landfall - Whenever a land enters the battlefield under your control, you may have your life total become the number of charge counters on Eternity Vessel.